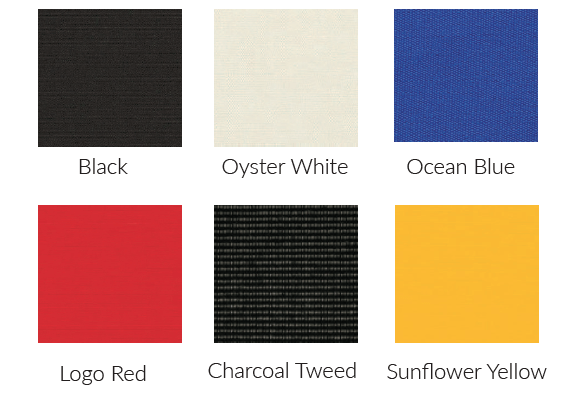 Heavy-duty protection for enduring spaces. 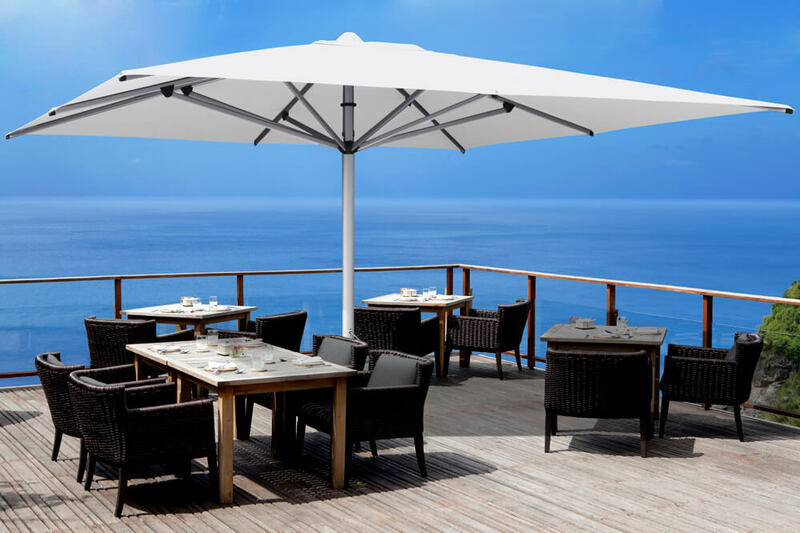 The SU10 Commercial Umbrella looks very fitting in a wide range of applications, from dining al fresco to a resort's poolside and everything in between. 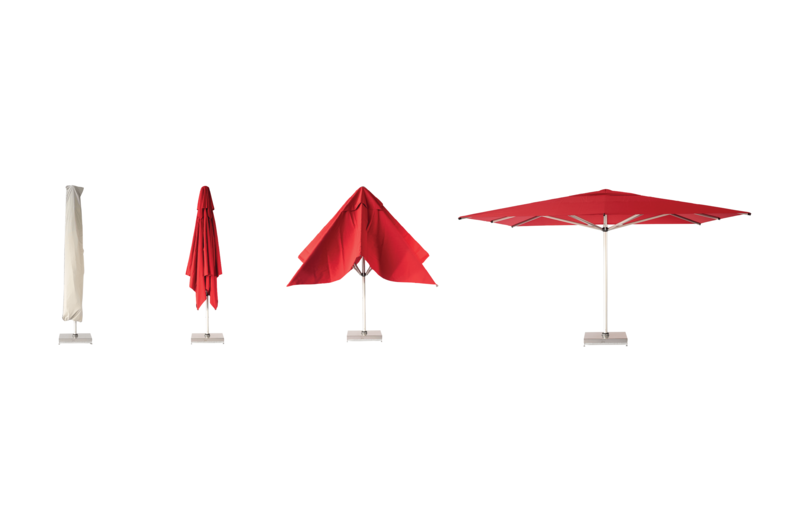 Thanks to its heavy-duty commercial design, it's produced in large sizes allowing each umbrella to cover a significant area when opened. 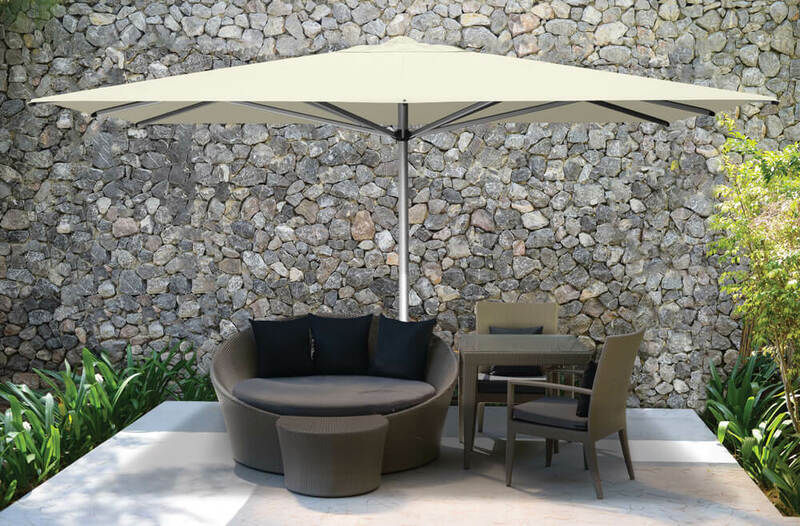 With the telescopic mast design, the umbrella, even in the larger sizes, is able to close down above most standard height furniture. This large umbrella is available in multiple sizes and configurations, with Surface Plate, In-ground Anchor or Portable Base fixing options. Other optional accessories can be added such as connecting rain gutters for adjoining umbrellas. 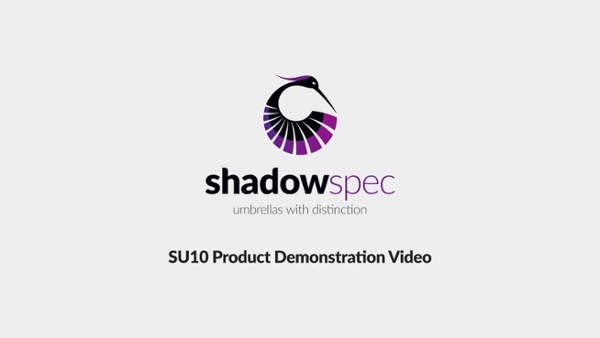 And, for when it’s not in use, each SU10 commercial umbrella is supplied with a protective cover to shield it from the weather when folded away. This ensures that it will always look crisp and smart when deployed. Check out all the details below.